The radio outage was caused by an overnight power problem, which kept the radios from returning to normal until about 9:40 a.m., a Metro spokesman said. The communications problem did not create any delays for riders though. 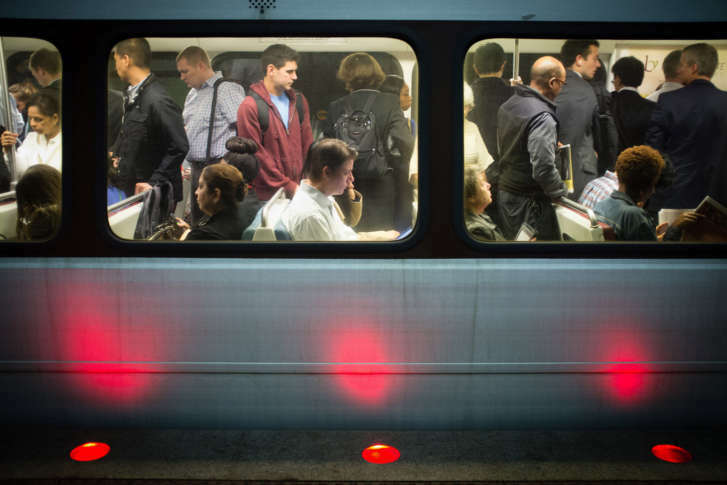 WASHINGTON — Metro train operators had significant radio problems in underground tunnels throughout Wednesday morning’s rush hour that prevented communication with the system’s Rail Operations Control Center, Metro and the agency’s largest union said. While Metro said the communications problem did not create any delays for riders, a lack of radio communication has caused problems in the past when incidents occur. The radio outage was caused by an overnight power problem, which kept the radios from returning to normal until about 9:40 a.m., Metro spokesman Ron Holzer said. Backup procedures were in place during the morning rush, he added. Stephen said that meant train supervisors were positioned on station platforms to help with overall train movement, but that would not help provide communication if there were any issues with passengers or the train while it was between stations. In the most recent high-profile case of communications problems, a radio dead zone near Farragut North prevented Metro from learning that a train had derailed in a tunnel for about 20 minutes. That derailment was instead initially reported as a smoke incident. “You’re underground and you are in a position where the only help that you can get, the only assistance that you can have someone come to you with, is through radio communications. That’s the only thing that works,” ATU Local 689 President Jackie Jeter told reporters after that derailment. There are also backup emergency phones evenly spaced along tunnel walls. Separate communications issues for firefighters also hampered the response to the 2015 L’Enfant Plaza smoke incident, but Holzer said Wednesday morning’s issue only took down Metro’s internal radio systems.